One of England’s fiercest and longest-standing rivalries commences this Super Sunday as Arsenal host Tottenham at the Emirates Stadium. What a way to kick-start the jam-packed festive season of football. The Gunners come into this tie after a superb run of 12 Premier League games without defeat, while Spurs are off the back of another London derby, in which they bulldozed their way past Chelsea, humbling the Blues to a 3-1 defeat. 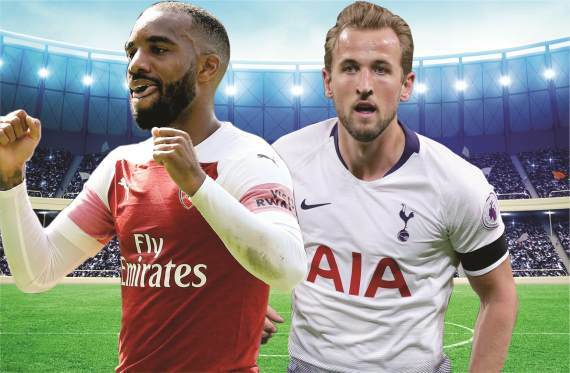 For both sides, this is undoubtedly their biggest game in the calendar year, but it seems that this fixture is one that Arsenal have favoured in recent times – with Spurs failing to beat the Gunners in their last eight visits to the Emirates Stadium. This will be Unai Emery’s first North London derby as Gunners boss, while Mauricio Pochettino will be hoping his experience in this fixture can distance his Tottenham side six points clear of Arsenal. Leno; Bellerin, Sokratis, Holding, Kolasinac; Torreira, Xhaka; Iwobi, Ozil, Aubameyang; Lacazette. Lloris; Trippier, Alderweireld, Vertonghen, Davies; Dier, Sissoko; Eriksen, Alli, Son; Kane.